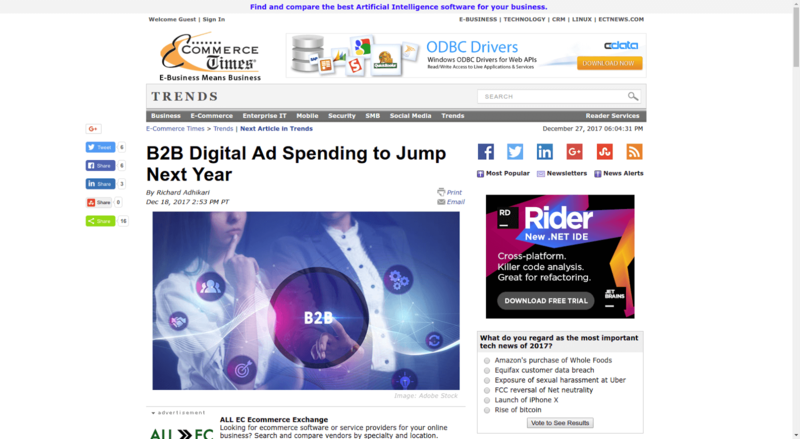 B2B digital ad spending will continue to grow this year, according to report by eMarketer. Get acquainted with experts’ key points on this topic in the following article. Amazon has forged into the B2B market with Amazon Business and has already grabbed more than one million business customers. Ray Grady explains what that means for B2B and why B2B businesses should be fast-tracking their efforts to develop a strategy ensuring they can keep their slice of market share. Understanding the customer service industry and its unique relationship with technology can be a challenge, especially as technology advances. 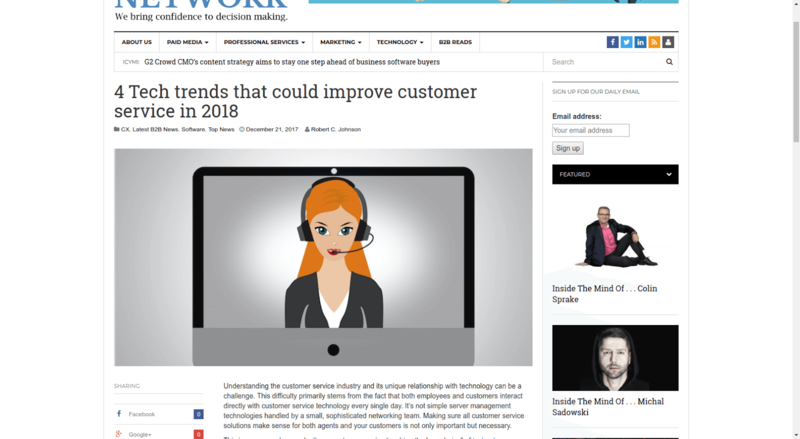 Here are 4 trends that Robert C. Johnson, CEO of Team Support, believes can improve customer’s experience in 2018. As digital marketing evolves, we continue to see trends favoring video. 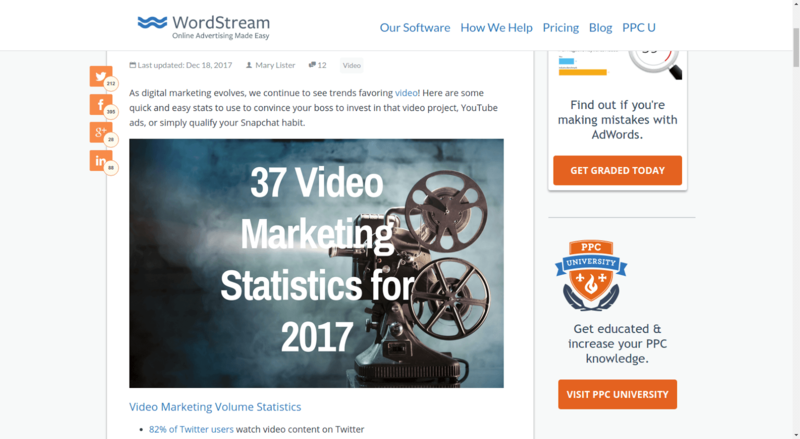 Here are some quick and easy stats from WordStream showing that it’s worth to invest in different video projects, YouTube ads. 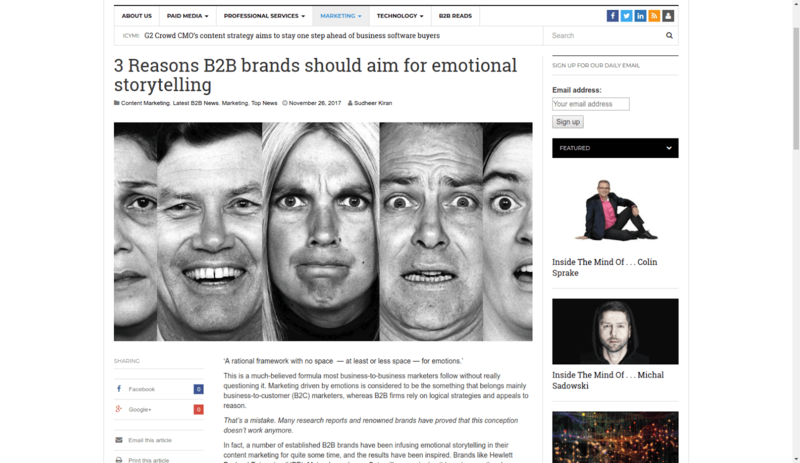 Marketing driven by emotions is considered to be the something that belongs mainly to business-to-customer (B2C) marketers, whereas B2B firms rely on logic and reason. Sudheer Kiran claims that emotional storytelling will work for serious business people as well and explains why. 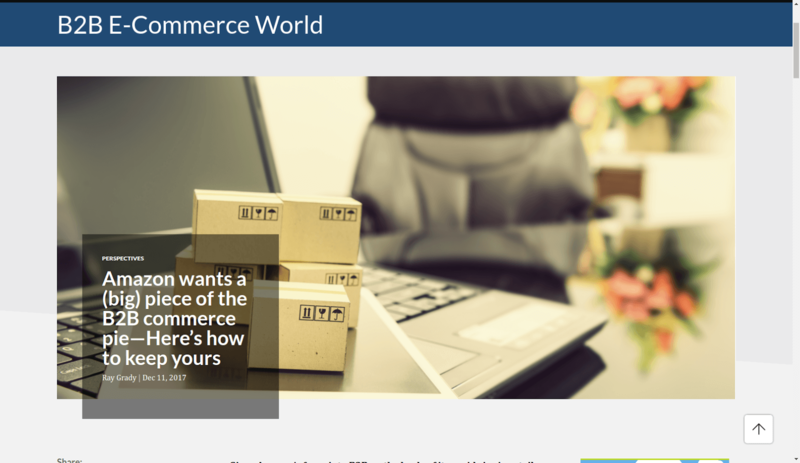 SaaS companies are rapidly changing the landscape of e-commerce. They provide solutions that optimize and simplify the ways we are doing business by optimizing interactions and simplifying analytics. 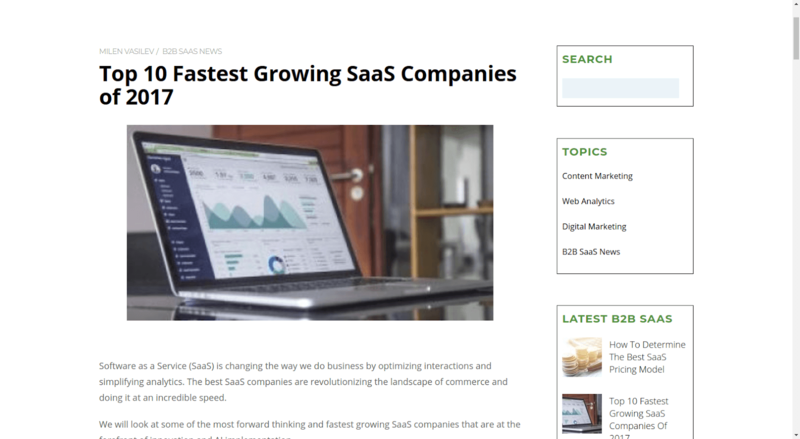 Let’s take a look at most successful SaaS companies of 2017. 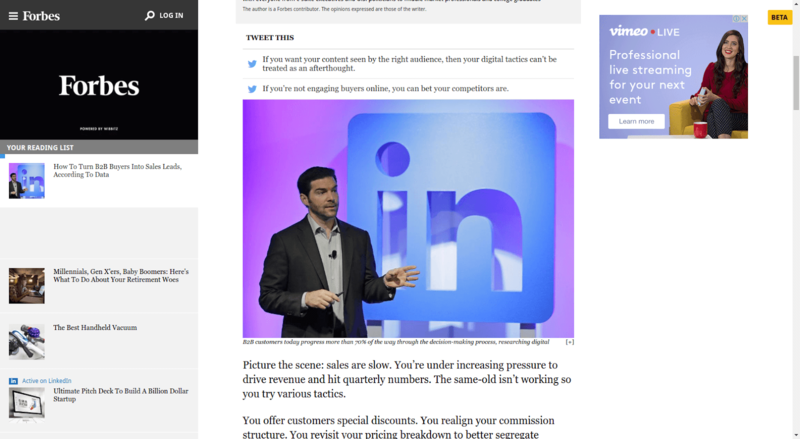 The article explains B2B buyers digital behavior before making a purchasing decision. It appears that B2B customers today progress more than 70% of the way through the decision-making process before ever before contacting a sales representative. Companies that fail to show up during that initial research phase risk losing buyer awareness, and ultimately, sales opportunities, stresses Ryan Erskine.